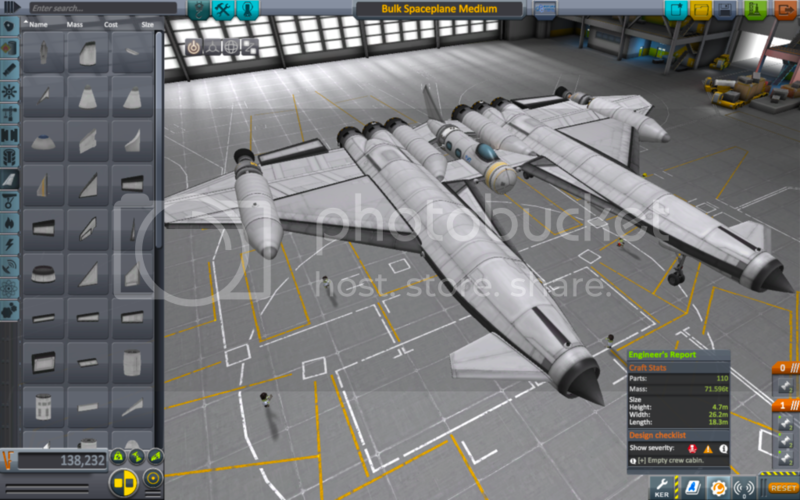 4 large Mk2 cargo bays, can lift 35 tons to orbit, room to carry an orange fuel tank in the center. Full RCS control, and can remote control a probe. Fly level until 500 m/s, then maintain 10° up to reach orbit.